At Bilton Grange we have developed a child centred enquiry based curriculum that is innovative, broad and varied. It enables children to use their imagination; develop their creativity and pursue their interests. We develop children’s individual abilities, interests and potential. We do this by rigorous assessment; using a variety of teaching methods and by taking account of children's different learning styles. 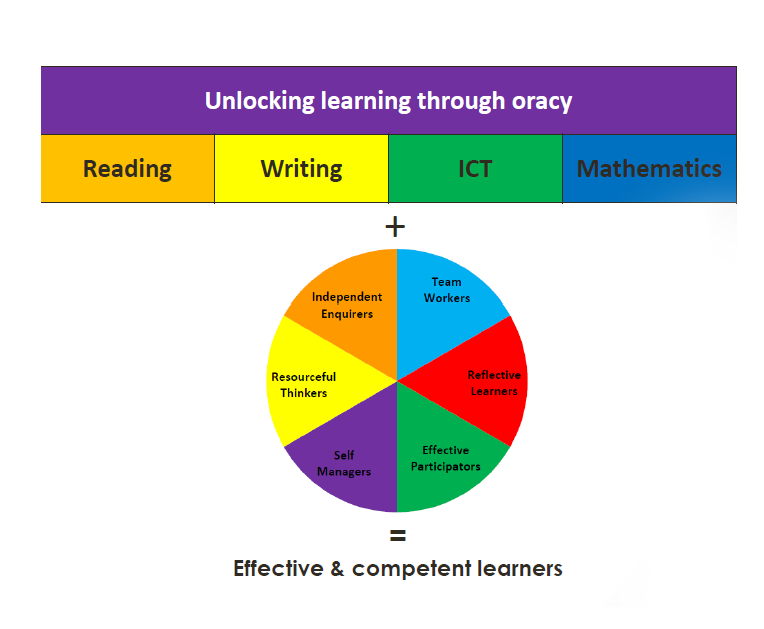 Assessment for Learning (activities undertaken by teachers, and by pupils assessing themselves, which provides information to be used as feedback to help them with their next stage in learning), Dialogic Talk (pupils are able to develop strong communication skills, including the ability to ask questions to deepen their learning) and Mastery (developing knowledge, skills, understanding in greater depth) are all central to our philosophy. We also take note of what interests and motivate children, and adapt our lessons and curriculum to accommodate this. Our curriculum threads SMSC (Spiritual, Moral, Social and Cultural) across all subject areas and school life, ensuring pupils are aware of the history and the values of Britain and prepares pupils' for life in modern Britain. We teach children how to keep safe by a variety of means, which includes assemblies; teaching through PSHE and Citizenship lessons and sessions from specialist support agencies. 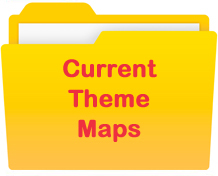 We have a cross curricular themed topic curriculum that has been created by the staff. It is a tailor made themed curriculum that is unique to our school and children. We focus on reading, writing and mathematics as a foundation for all of our learning. Creativity is embedded into everyday teaching and learning. The thematic topics are underpinned by four curriculum drivers that are at the heart of everything we do: collaboration, communication, creative arts and community. We would like our children to be effective, competent and empowered learners who respect one another and themselves by giving opportunities to engage actively in the life of the school, think creatively, work collaboratively and evaluate and organise themselves and others. We would like our children to develop strong skills in dialogic talk to stimulate and extend their learning and understanding, so they become empowered for lifelong learning and active citizenship. We would like our children to develop a range of artistic and cultural skills by giving rich opportunities in music, art and design, dance and drama. 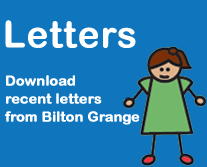 We would like our children to leave Bilton Grange Primary School as active citizens of modern Britain with a good understanding of the importance of the local community and its differences by giving rich opportunities in understanding local, national and global communities and their place in it. Each topic has exciting memorable experiences. The topic includes a 'wow' and finishes with a final 'reflection'. A 'wow' aims to capture children's imagination and enthusiasm for the topic. These memorable learning experiences include: a school trip that is central to the children's learning experience, visitors into school, themed dressing-up activity days, project work, or a recreated experience in school. The final 'reflection' enables children to use everything they have learnt in a fun and creative way. This can include: topic based experiences in school, project work, performances for the community and presentations. We enable our pupils to succeed through challenging tasks and activities that encourage them to take risks and be creative. We develop their ability to think independently, enabling them to transfer their learning to all aspects of their life; preparing them for the future. We actively teach the skills needed to be a successful learner. Our 'Empowering Learning' targets aim to empower all learners to be inquisitive and confident learners for the future. As an Artsmark school we are recognised as a leading school in delivering a strong arts curriculum. 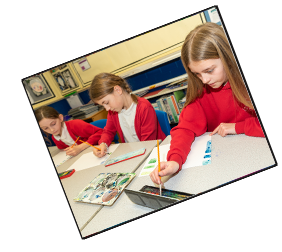 We feel that by developing creativity in all areas of the curriculum children are motivated to learn and are able to think imaginatively. We often use art, drama and music to stimulate minds in every subject. Most of our writing experiences are done through the theme of the topic to make them meaningful. Some mathematical work is done through the topic theme too. 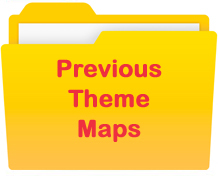 The foundation subjects are taught in themed topics which generally have a geographical, historical or scientific focus. - Formative and summative assessment is used to improve teaching and learning and raise achievement. - Accurate and moderated assessment drawing on a range of evidence with baseline. - Evaluates how well pupils' area doing against age related expectations and identifies pupils falling behind ensuring there is aspirational challenge for all groups of learners. - Reporting to parents will make sure parents understand how well their children are doing against national standards and the progress being made. Feedback on reporting will be sought from parents during 2014/15. Further information on our curriculum and assessment can be found in the policies section of this website. Alternatively please contact the school office where you will be put in touch with the Curriculum and Assessment Lead in school. At Bilton Grange we understand the importance of ensuring that children are confident, capable and successful learners irrespective of their age or ability so that they can move onto the next stage in their development as successful citizens within our society. Empowering learning criteria is used within all aspects of our school life to enable children to develop a 'learning to learn' philosophy. In later life these empowering learning criteria may well become the basis for employment. By developing these skills now, we can enable our children to have the necessary skills to feel confident in their ability and succeed in their personal development. There are six key skills that we focus on throughout the year. 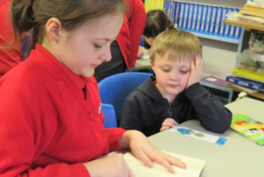 Every half term all children complete an 'Extended Learning Challenge' as part of their homework to show how they have met their age appropriate criteria at school or at home. The children discuss this in school with one another to share their experiences. As always, we really appreciate our parent's support in completing this important part of their child's development.